In the world of the Equestria Girls, the power of friendship is stronger together! As she learns about friendship in the halls of Canterlot High, Twilight Sparkle is studious at school and smart in style, too! 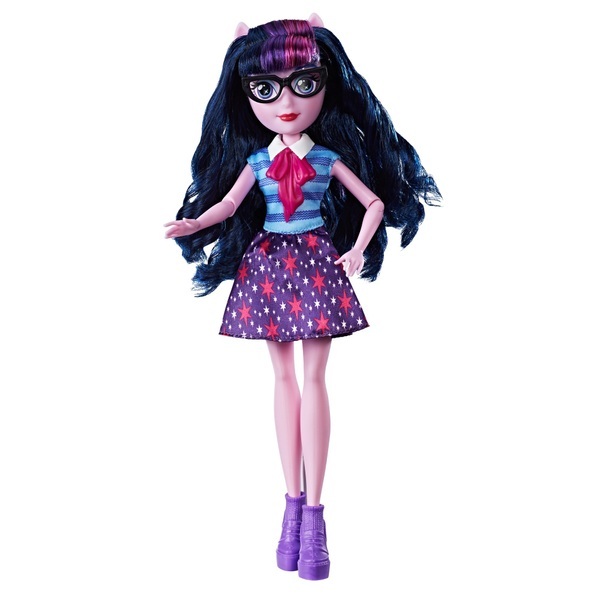 This My Little Pony Equestria Girls Twilight Sparkle Classic Style Doll is dressed in a stylish, preppy outfit for imagining her hitting the books in the library. Her cutie mark is represented in the pattern on skirt!